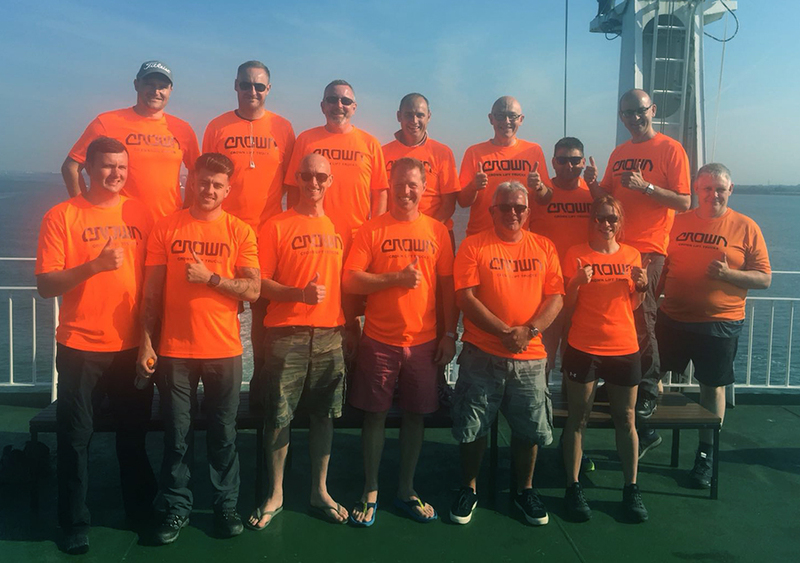 A group of 15 colleagues from Crown Lift Trucks has completed a gruelling walking challenge, raising more than £5,300 for mental health charity MIND. The group walked the entire coastal perimeter of the Isle of Wight in an anti-clockwise direction, covering 62 miles of undulating paths. Taking place in blazing sunshine, the walk saw the Crown group set off from East Cowes on the morning of Friday July 6th, walk through Friday night, and complete the task on Saturday morning. The 62 mile challenge was completed with plenty of blisters and aching limbs in just over 22 hours.